DESCRIPTION AKA Trajan's Forest Queen. 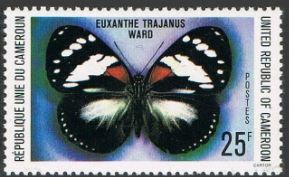 Large butterfly from the Nymphalidae family found primarily in lowland evergreen forest. Beautiful shaped wings with multi colours of chocolate lemon and pale blue/grey.